By default Java doesn’t have any utility which creates strong long random password. 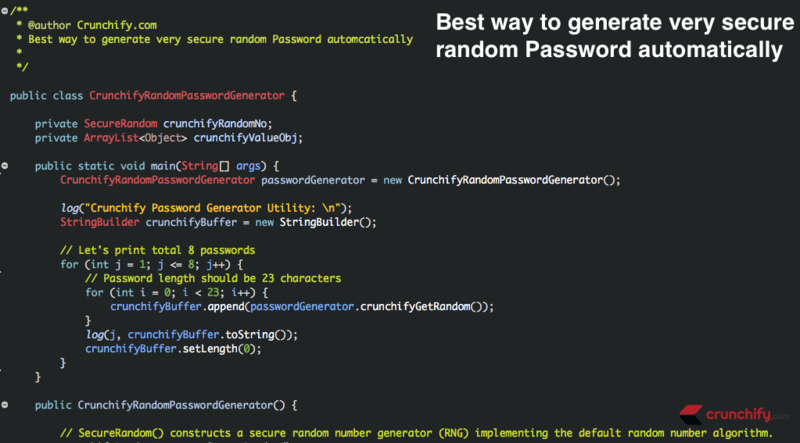 Here we have created detailed tutorial on how to generate Strong Random Password using java.security.SecureRandom API. How to generate a secure random alphanumeric string in Java? 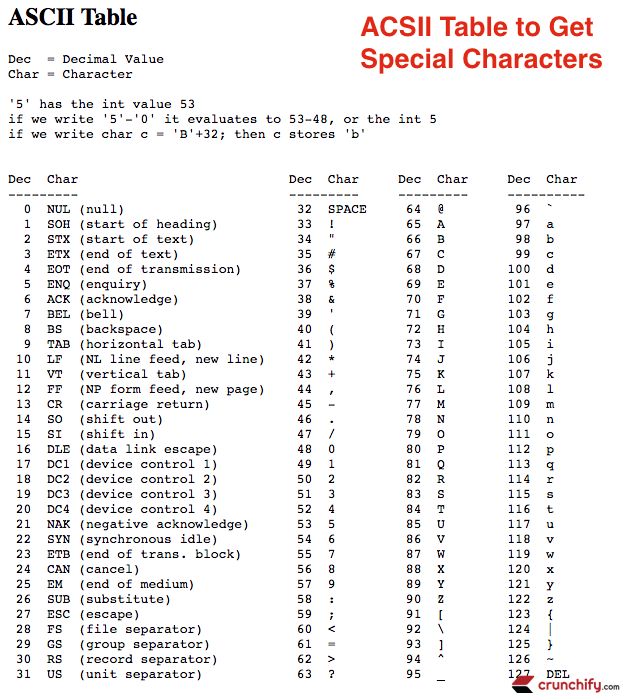 We will be using ASCII Table to get Special Characters by Decimal Value in java. Take a look at below mapping between Decimal Value and Characters. Create public method CrunchifyRandomPasswordGenerator() in which we will get ASCII decimal values in 3 different loops. crunchifyGetRandom() will get random character from above list and gets Char associated with it. That’s it. Just run below program and you are all set. // SecureRandom() constructs a secure random number generator (RNG) implementing the default random number algorithm. How to Generate Random Number in Java with Some Variations?